Lucy Liu on both television and film is no stranger to strong female personas. From private investigator Alex Nuncy in Charlie’s Angels to Yakuza boss O-Ren Ishii in Quentin Tarantino’s Kill Bill, the Asian-American star showed that she has the versatility to take on a wide range of unforgettable roles. Over the years, the award-winning actress-director moved further and further away from stereotypes often linked to actresses of Asian descent. Of all the roles she played, no departure is as striking as her character in the procedural drama Elementary, a modern reimagining of the world’s most famous fictional detective—Arthur Conan Doyle’s Sherlock Holmes. The series, which is now on its fifth season, shifts the setting of Holmes’ adventures from Victorian London to the concrete jungle of modern-day Manhattan. What makes the adaptation more memorable is how the creators transformed Holmes’ assistant, Dr. John Watson, into a woman. Many fans of the detective story were first skeptical about Liu’s casting. As the series unfolded, however, audiences were quick in their praise. One review even said that her character was the best portrayal of the world-renowned sidekick, which added a new dimension not just to the role, but also to Watson’s relationship with Holmes. Like Conan Doyle’s original character, Elementary’s Watson started her career as a surgeon. But while the original Dr. Watson was the detective’s roommate before they became a crime-solving tandem, Liu’s Watson was forced by her father to play the role of a sober companion to a Sherlock Holmes recovering from drug addiction. Holmes eventually took Dr. Joan Watson as her apprentice, who showed a quickness of wit that proved useful in their missions together. As she became more absorbed in the world of crime-solving, she later developed her own skills that made her a detective in her own right. She soon stepped outside her role as apprentice to become Holmes’ equal. As the original Holmes would have put it, she developed and showed an extraordinary mastery of the detective’s methods. Liu’s Watson also displayed more than great prowess in solving crime. Even in the fashion department, she too showed sophistication and taste. Crime-solving might be tedious work, but for Dr. Joan Watson at least, it can be done in style. The series’ fifth season is well underway, and the crime-fighting duo has pretty much gone through a lot of unexpected twists and dangerous turns, from explosions and smuggling, to murder and kidnapping. 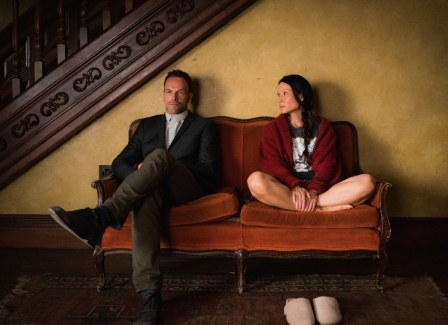 The clues and the mysteries keep coming along in Elementary’s fifth season, but while there can be no doubt that the two can solve even the toughest of challenges, what remains to be seen is how far Dr. Watson can take her strength and wit as she embarks on what could be her most dangerous mission yet. A thrilling chase continues in Elementary, but Lucy Liu can already count Dr. Watson as among the unforgettable heroines she brought to life with a masterful combination of grit and grace.